Question: Is it normal for a baby in a crèche to have a cough constantly? My son is 10-months-old and has been sick a number of times since starting at the crèche. He recovers well, but the cough is constant. My wife says that he is fine and doesn't need an antibiotic, but I'm not sure. Is there something we can do to get rid of the cough once and for all? It wakes him at night, and therefore, me also. Dr Nina replies: Cough is one of the most common reasons for a person to attend their doctor. However it doesn't always mean an infection lies beneath. Coughing is a normal physiological reflex that helps to keep the lungs and airways clear. Irritation anywhere from the throat to deep in the lungs will cause someone to cough. Acute coughs last two to three weeks and are most often associated with a viral or bacterial respiratory infection. They can also last for some weeks after the initial infection has passed. 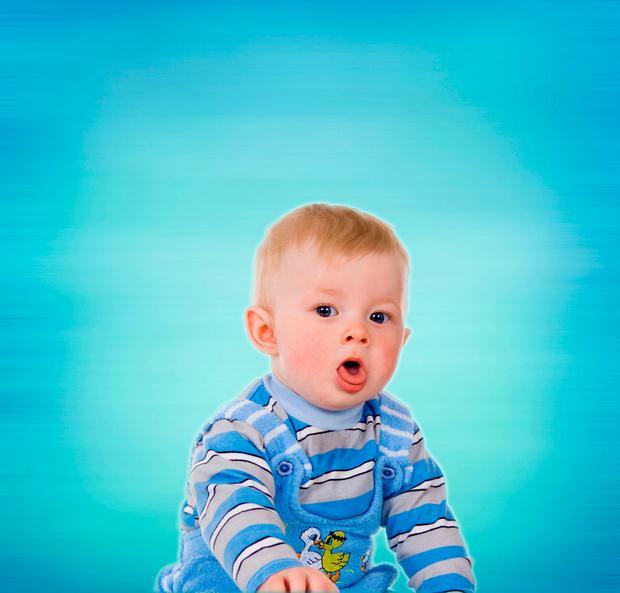 Post-nasal drip due to a blocked nose is a common cause of chronic cough in toddlers. It seems to many parents that their crèche going toddler is constantly sick. Many worry that there is something wrong with the child's immune system, but thankfully this is rarely the case. Antibodies and protection to certain viruses are passed from the mother to the baby during pregnancy and at birth. Breastfed babies continue to benefit from some of their mothers immunity that is transferred in breast milk. Around the age of six months to a year this passively acquired immunity starts to wane. This leaves the baby's immune system bare, with little memory for the over 200 bugs and viruses that it may be exposed to in the early years. This also often coincides with the start of crèche attendance. Toddlers are unable to blow their nose, wash their hands or be aware of how germs are transferred. Enter any wobbler or toddler room and you will find them rolling and climbing over each other. Sharing toys, food and drool and generally interacting in close proximity on a prolonged basis. Any virus or infection will pass easily form child-to-child in this environment. One particular survey of 100 crèches in the USA showed that on a single day 49pc of children had runny noses, 28pc had coughs and 15pc had diarrhoea. It has also been shown that pre-school children can expect to suffer from six to eight cold like illnesses a year. If your child is coughing a lot, but is otherwise well and continues to develop normally, eats well, grows and gains weight then it is unlikely there is any serious underlying illness. Signs to watch for are fever, increased breathing rate, reduced food intake, reduced wet nappies and unusual irritability. Fits of coughing resulting in vomiting should be checked. Many of those children who attend crèche or are frequently ill as toddlers, develop a rock solid immune system by the time they start school and missed school days are much less common. Kathy Donaghy When 74-year-old Bridget Byrne gets up every morning, one of the first things she does is say 'hello' to Mylo, and Mylo, in turn, greets her. There's one thing you quickly stop asking yourself when you have fibromyalgia (FM) - and that's "how much worse can it get?"